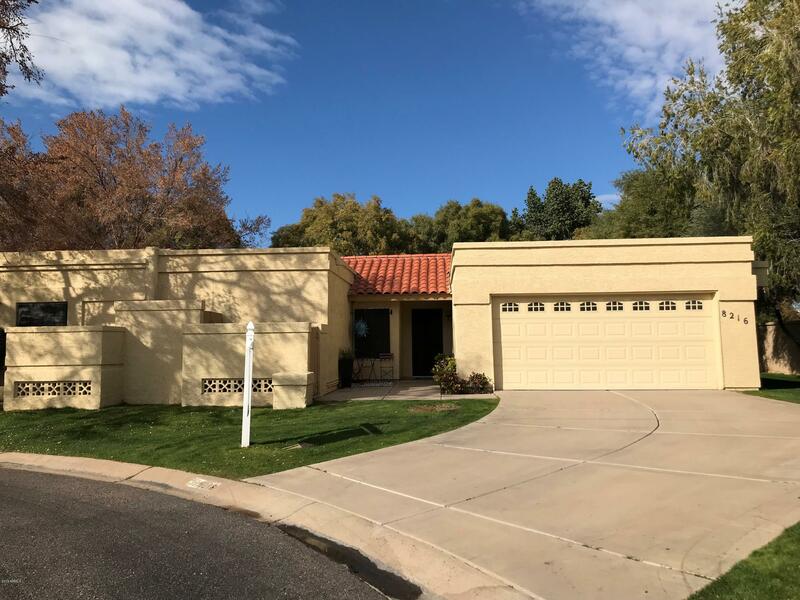 All HERITAGE VILLAGE 3 LOT 1- homes currently listed for sale in Scottsdale as of 04/24/2019 are shown below. You can change the search criteria at any time by pressing the 'Change Search' button below. "MUST SELL- REDUCED Owner purchased another home. Pristine Resort Community w/ Two Tennis Courts, Pickle Ball Courts & Two Pools. LARGEST UNIT @ 2,259 SF. Beautiful 3-bedroom 3 bath home. Separate Guest House off Court Yard Entry. 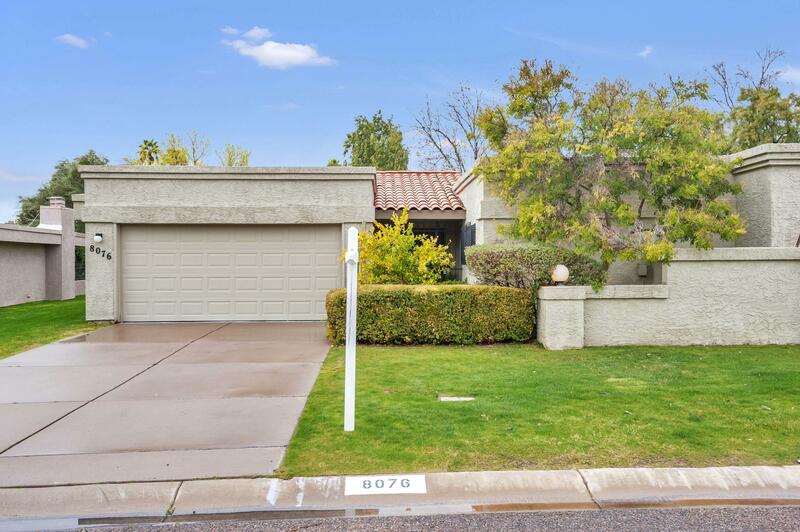 Open Floor Plan, Granite Counter Tops, Large Family Room w/ Dining Area. Kitchen opens to Great Room with Fireplace looking out to patio. Large wet bar/eat in kitchen area. Spacious Green Belt between homes. Great Location; Steps to the Main Pool, Cabana, Spa. 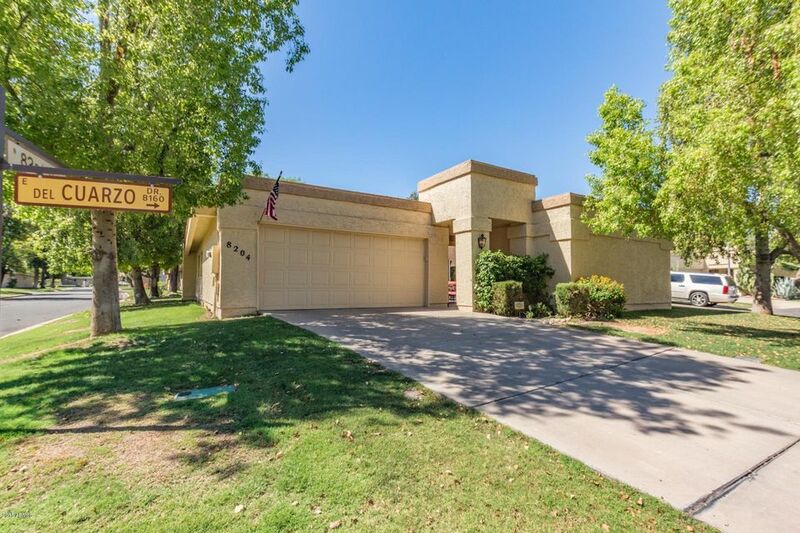 Cul-de-"
"Located in the desired McCormick Ranch neighborhood. 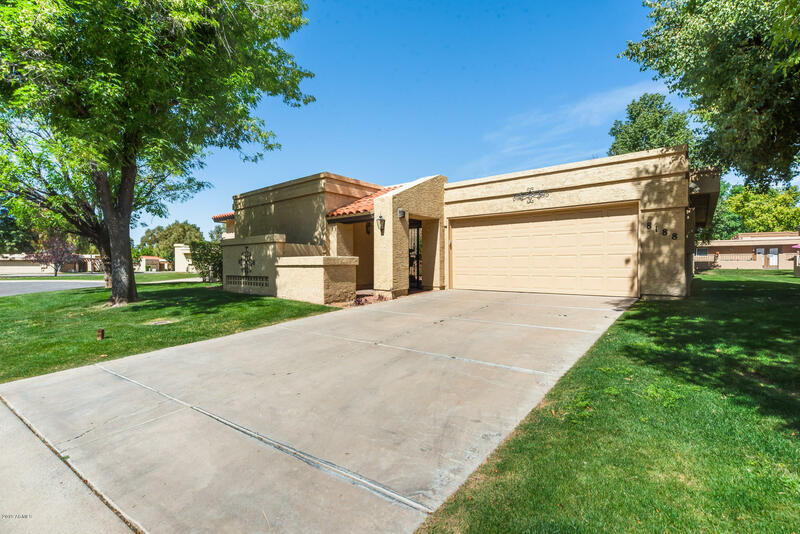 This home is back on the market and ready to sell!NEW AC in the main house and casita (2017), NEW ROOF (2016), NEW garage door (2016), Exterior painting (2017).Open floor plan with a spacious kitchen and a wet bar. Private front courtyard and a separate casita. Community features 2 swimming pools, Spa, tennis courts and a lake subdivision!Washer & dryer included. Also, furniture is available on a separate bill of sale. *The chandelie"
"Below market Retro Heritage Village! You won't find a better-priced property in the subdivision that has the 3 bedrooms 3 bath floor plan. 1 bedroom/1 bath is included in the detached casita. This home has more to offer than just price. 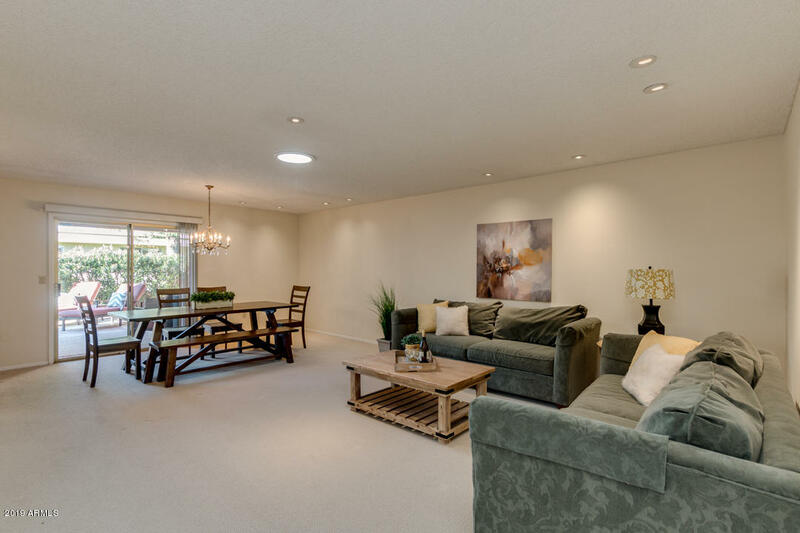 It features valued ceilings, great room floor plan, breakfast room along with formal dining. Great room has a fireplace and views of the back patio and greenbelt. Home might be in mostly original condition but is priced for a full renovation. Estimated renovation"
"Enjoy resort living in highly desirable McCormick Ranch Heritage Village! Lakefront community features 2 heated pools/spas, tennis courts, pickleball, greenbelt with biking/walking path to coffee, shopping and numerous restaurants. Spacious 3 bedroom patio home with NO INTERIOR STEPS. Fantastic floor plan features kitchen open to family room, separate dining room/ great room and split master bedroom with walk-in closet. 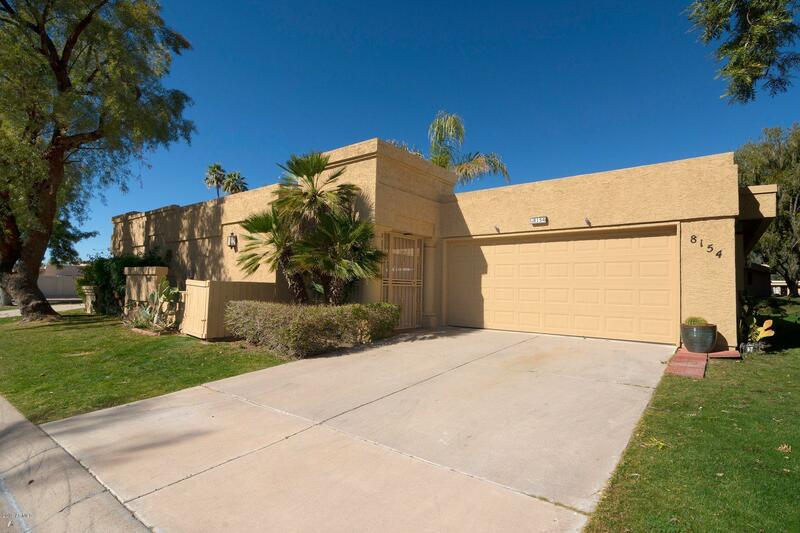 Both living spaces open on to beautiful private covered patio, perfect for r"
"Great location in McCormick Ranch. Two bedrooms, Two bath Townhome with 2 car garage. Community features 2 pools, spa, tennis courts, walking/biking paths. Easy access to shopping, restaurants, golf courses, 101 freeway, spring baseball fields and casino." "THIS IS THE BEST DEAL IN McCORMICK RANCH SCOTTSDALE!! Since 2/1/18 ONLY 4 other Town/Patio Homes have SOLD FOR LESS within a 1-mile radius of CAVERNA, between 1600-3339sf and they have all been in original condition ****LOCATION, LOCATION, LOCATION-this home sides to Hayden to the east on a CUL-DE-SAC LOT, N/S EXPOSURE, REMODELED, 2-CAR GARAGE, MOVE-IN READY and has TILE THROUGHOUT the ENTIRE PROPERTY**** 1000ft from 2 POOLS, Spa, TENNIS COURTS, Pickleball, WALKING/BIKING PATHS, LUSH GREENBELT, "